As a dietary supplement, take 3 capsules a day with a meal. 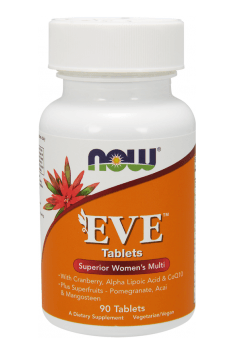 It is recommended to use the preparation every day in the dosage of 3 tablets, particularly in the case of women who want to support the functioning of the organism, stabilise their hormone economy, as well as those who are looking for an anti-aging agent. The preparation can also constitute an element of skin, hair and nail care, as it is beneficial for their structure. As the preparation contains both water- and fat-soluble substances, it should be taken with a meal. The preparation is intended for everyday supplementation. Women whose everyday diet is balanced and diverse, rich in vitamins and minerals, can take 1-2 tablets a day. More intensive physical activity, consuming highly processed food, and frequent exposure to stress can lead to hormonal disorders and vitamin and mineral deficiencies. In those cases, a higher dosage is worth trying – 3 tablets a day. Natural brain booster. It improves memory and concentration. Applied before bedtime, it improves sleep quality.